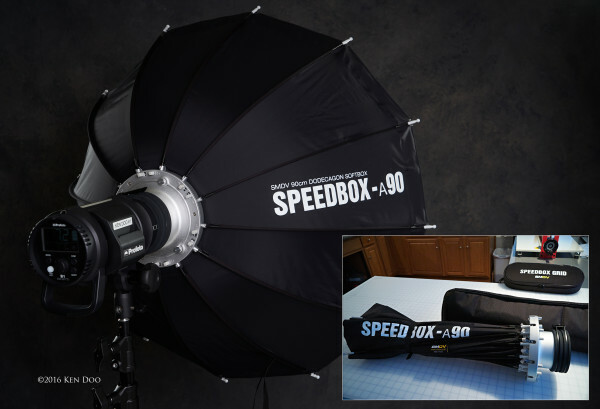 Ken Doo reviews the SMDV Alpha Speedbox, a portable quick-assemble softbox for location lighting. Technology and development is fast paced in the world of digital photography. Every year (or every other year) manufacturers introduce dozens of new innovative tools and equipment at large photography shows such as Photokina in Germany or Photoplus in New York. Innovation may be large or small, but if a new product can actually make my job as a professional photographer easier, that is what makes it a worthwhile investment to me. The SMDV Alpha Speedbox is one of those innovative worthwhile investments that has found a place in my studio, and especially when working on location. When surrounded by announcements of the latest fast lenses and 100 megapixel medium format digital backs, it may be difficult to get excited about a studio lighting modifier. But I think the SMDV Alpha Speedbox does a pretty good job here. SMDV was established by JS Kim in 2003 and is a relatively small company headquartered in Busan, South Korea. The SMDV Alpha Speedbox is not an inexpensive lighting modifier and should not be confused with cheap photography products cranked out by some Asian companies. On the contrary, the quality of materials used here is top-notch. Pricing starts at about $300 depending on mount selected and the size of the modifier. Warranty service and support is provided by SMDV USA. The US Distributor is www.legioaerium.com. 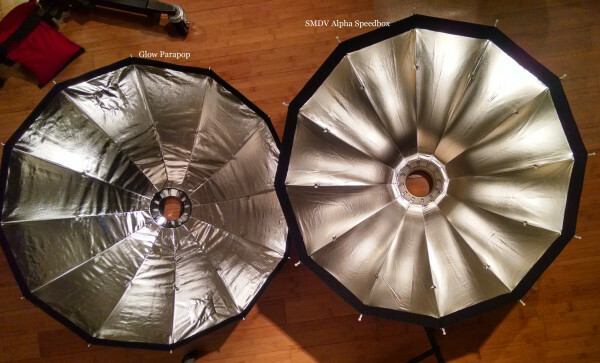 The SMDV Alpha Speedbox is a parabolic softbox designed for studio lights. It is available in 32”, 36”, 40”, and 44” sizes. In a sea of “parabolic” lighting modifiers, what makes the SMDV Alpha Speedbox standout is the quality of its feature-set in a packable lighting kit for working on location. Oh, yes—and it’s easy to use and speedy to set-up, hence its namesake. Following my review of the KPS T5 geared ballhead, the US Distributor for the SMDV Alpha Speedbox asked if I would be interested in trying their relatively new softbox. Eh, not really I replied, but then again I had just acquired a Profoto B2 on location lighting kit from Capture Integration in Atlanta, along with a Profoto B1 and Profoto Acute2 B600 pack also for working on location. I was not impressed with Profoto’s diminutive 2’ OCF Octobox, so maybe trying some new on location lighting modifiers wasn’t such a bad idea after all. 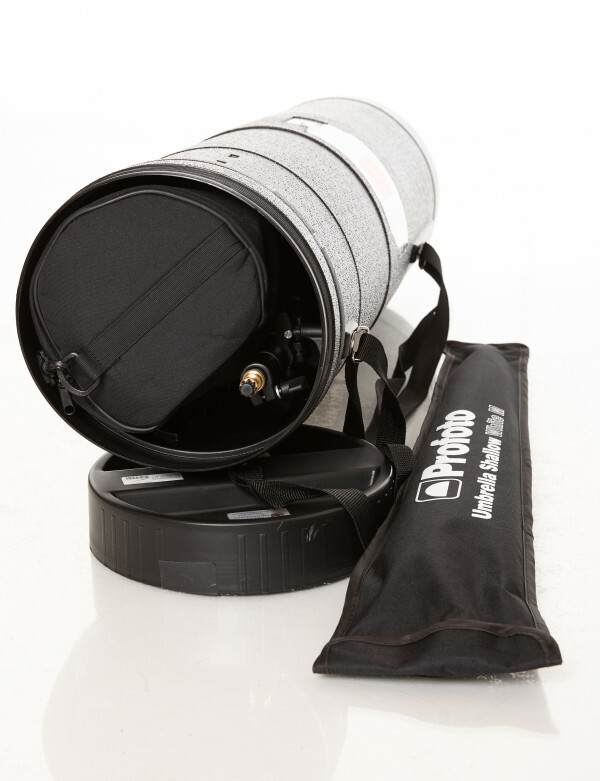 And SMDV had just added a Profoto speedring adapter for the Alpha Speedbox. Speedring adapters are also available for Bowens, Elinchrom, Broncolor, Hensel, and Balcar. At the end of September 2015, I received two Alpha Speedboxes, Profoto speedring adapters, and accessories. No compensation was received from SMDV. I was asked to simply use the Speedboxes and provide input and a review. Unlike many reviews where a product is “used” for a scant few hours, I used the 36” and 44” Alpha Speedboxes extensively over a period of three months in a variety of situations both in studio and on location, primarily in portraiture as well as at two destination weddings. The Alpha Speedbox is a parabolic softbox with an internal baffle and a removable outer diffuser. Once set-up, both the internal baffle and outer diffuser may be left attached to the Speedbox. Using the Profoto adapter ring adds several inches to the length of the modifier when folded. 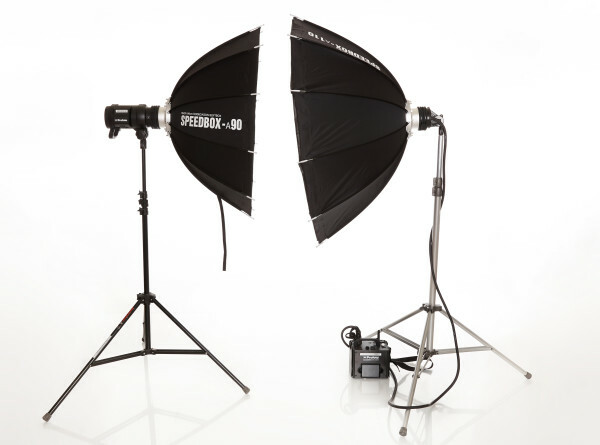 The 36″ Speedbox (with Profoto adapter) is about 28-inches in length when folded; the 44″ speedbox slightly longer of course. The diameter of the Alpha Speedbox when folded is just under 8-inches. 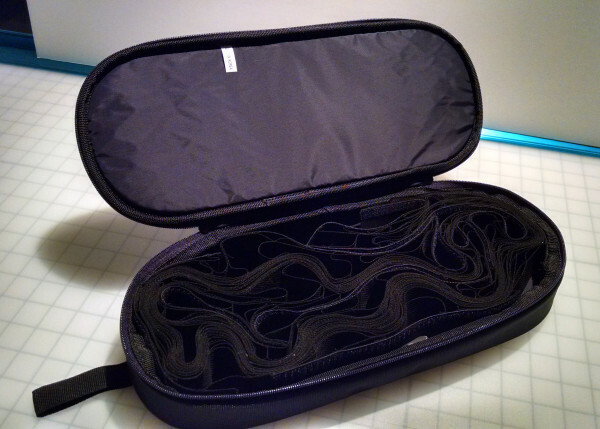 The entire kit is easily packed into its included “to-go” zippered soft case, which is similar to a tripod case with handles and shoulder strap. The grid comes with its own protective soft case. An available cloth honeycomb grid is easily attached for further light control. I was very surprised when I first handled the grid. It is a slightly heavier material and its quality is surprisingly better than grids I have seen from Profoto. The grid attaches easily to the outside of the Alpha Speedbox with velcro tabs. The optional grid is expensive, starting at approximately $150-$190, but the quality is also apparent. The grid is a special order item that is hand-made in Korea. I am told that an optional deflector plate will also soon be available providing lighting similar to a beauty dish. 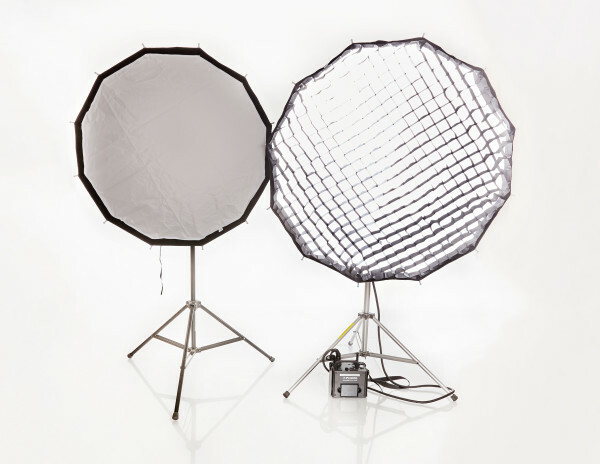 The Alpha Speedbox, “Alpha” referring to its aluminum construction and metal speedring, is a twelve-sided dodecagon shaped softbox, as opposed to a more popular six or eight-sided octobox. The dodecagon shape is more circular and lends itself to better catch-lights. The ribs are metal and workmanship and quality of materials is excellent. The reflective material is held taut by the unique engineering of the modifier. The modifier is quickly deployed in about thirty seconds—not minutes—simply by pulling each steel rib upwards until it clicks into place. I have found that by skipping every other one and then rotating the modifier until each rib is locked into place is the fastest method to deploy this modifier. 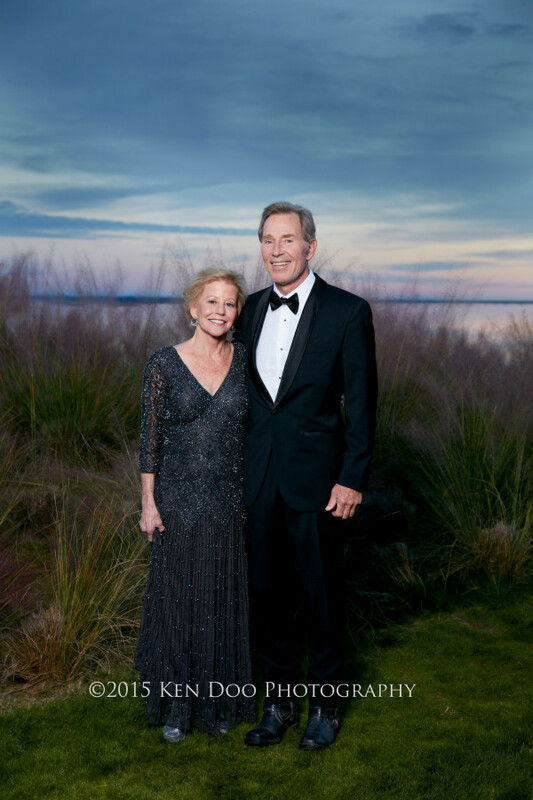 There is no fumbling with color-coded ribs into speed ring slots or struggling to set-up a large softbox. Ease and speed of set-up is particularly important for photographers who often work alone or without the luxury of assistants. Few other lighting modifiers offer both the speed and ease of set-up as the SMDV Alpha Speedbox, and certainly not with the same level of light control and available accessories. All this—in an easy to pack along, lighting kit. Putting the modifier away is even faster: simply squeeze the six tab locks together and the modifier instantly collapses down ready to put into its case. So, how is the SMDV Alpha Speedbox as a portrait lighting modifier on location? Put it this way, if given the choice, the SMDV Alpha Speedbox 90 (36″) is my first choice. I had a hard time deciding whether to purchase the SMDV Alpha 36″ or 44″ Speedbox or both. In the end I opted for the SMDV Alpha Speedbox 90 (36″). It is a nice size yet still easily maneuverable on location. 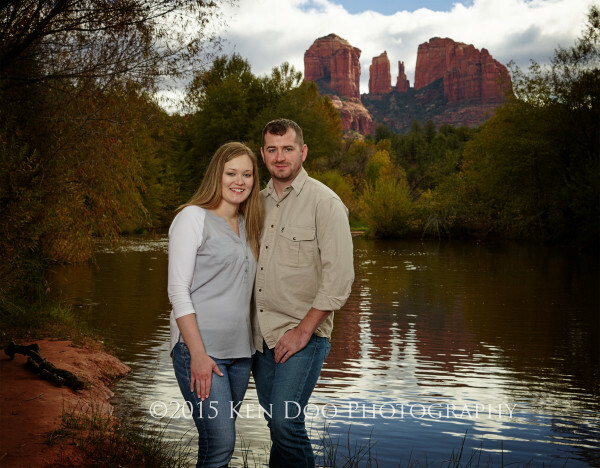 For a destination wedding in Sedona, Arizona, I chose to use the SMDV Alpha Speedbox 90 (36″) paired with Profoto’s more portable B2 lighting kit. 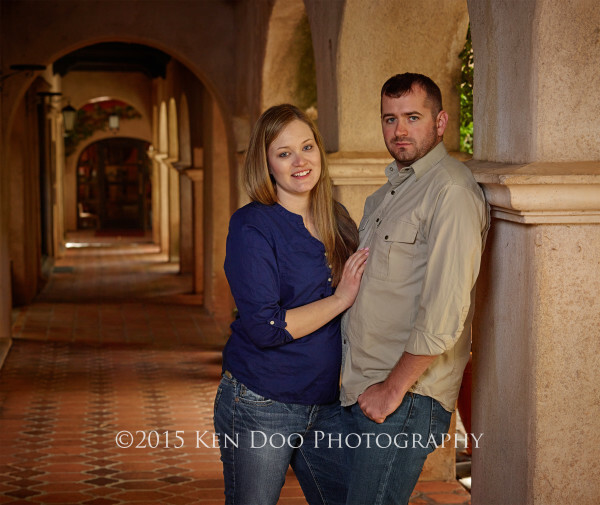 Special thanks to Don Libby of IronCreekPhotography in Tucson, AZ for providing the short video clip. As a portrait photographer, I often work alone. Being able to set up quickly is a value that I place a great premium. For individuals, couples, or even small groupings, the SMDV Alpha Speedboxes are an excellent choice. I like the flexibility that the Alpha Speedboxes offer with removable diffusion panels, grids, and soon a deflector plate. Its parabolic shape makes it easy to feather the light when needed, and its flexible design makes it easy to change the quality of light from a diffused source to a more distinct light. Packing “light and tight” is a necessity to fly across the country for a destination wedding. Setting up quickly for portraits after the wedding ceremony and racing the setting sun can be a challenge. The SMDV Alpha Speedbox with Profoto B2 lights excels easily at both. The design of the Alpha Speedbox and its flexibility as a modifier make it an easy choice to take on location. not a knock-off. 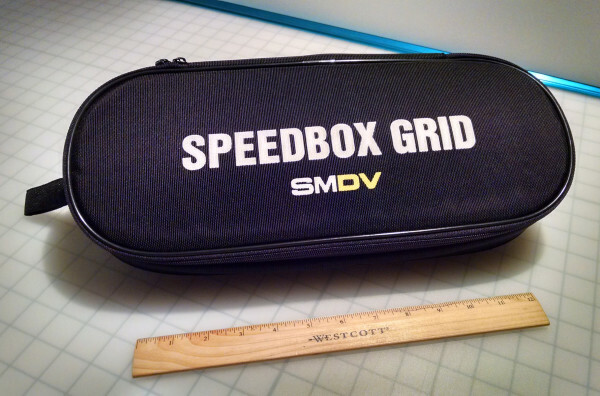 The SMDV Alpha Speedbox is not cheaply made. And the SMDV Alpha Speedbox is not at all like Adorama’s Glow Parapop modifier. During the course of my review, another photographer pointed out to me the Adorama Glow Parapop as having similar features. 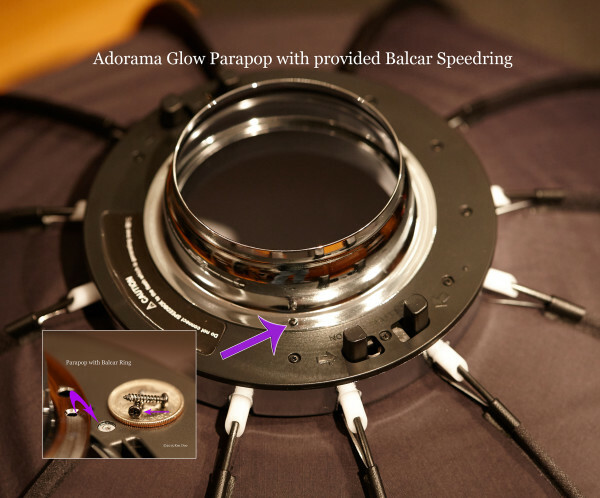 I was intrigued, so I bought Adorama’s Glow Parapop 38-inch modifier, a bundled Glow Parapop kit with a Balcar mount for Paul Buff’s Alien Bees or Einstein monolights, to compare. Apparently some parts were licensed by SMDV to Rimelite who in turn sold them to Adorama for their Glow series. The Adorama marketing description made the two modifiers seem strikingly very similar. But once in hand, it is abundantly clear that there is no comparison. It is not even close. The reflective materials and the diffusion panel materials are markedly different. The quality of materials and design of the SMDV Alpha Speedbox are clearly superior. The SMDV Alpha Speedbox was designed with studio lights in mind. 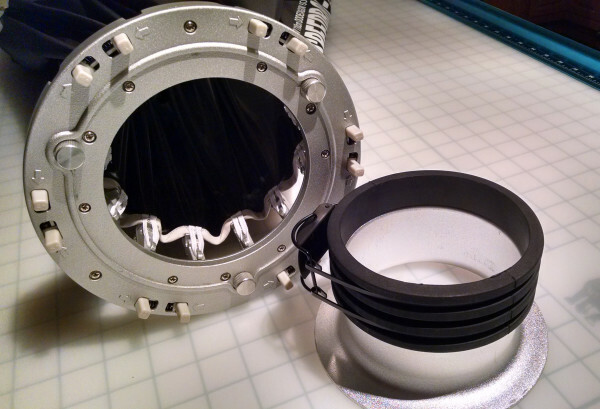 The speedring and adapters are made of aluminum to handle heat generated by modeling lamps. The ribs on the SMDV Alpha Speedbox are made of steel. The ribs on the Parapop are fiberglass. 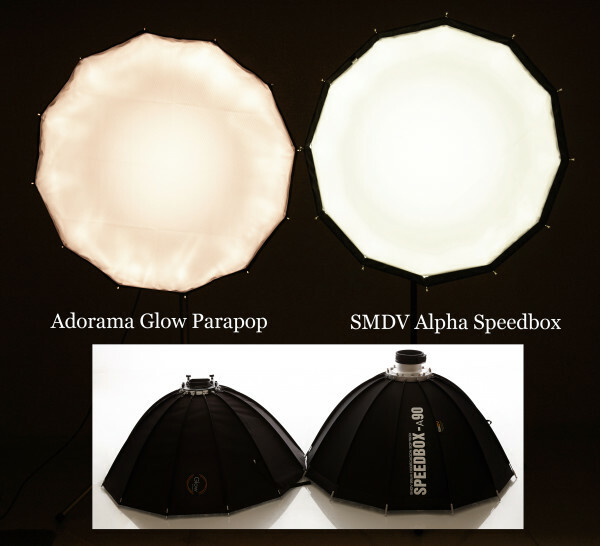 The Parapop is advertised by Adorama and recommended by them for use with studio lights, but to do so I think is irresponsible. The provided Balcar adapter is held in place by some really tiny screws, into the plastic Parapop base. Really tiny screws. Plastic base. Really inappropriate. It is a disaster waiting to happen—and it did. Within minutes of attaching the Glow Parapop to the Einstein monolight, the Parapop came crashing down on the studio floor. The heat from the Einstein modeling lamp had expanded the plastic screw mounts, and the tiny screws holding the Balcar mount adapter in place slipped out! Both the plastic mount and Balcar adapter remained very hot for quite some time. Luckily no damage was caused to the Einstein monolight tube. The Glow Parapop is not designed for studio light use (as was marketed). Obviously I was not able to do further studio testing of the Parapop. But frankly, in light of the glaring differences in materials used, there is no legitimate comparison to the SMDV Alpha Speedboxes to begin with. I found the two release tabs on the Parapop plastic base were very difficult to squeeze and close the fiberglass tines on the modifier. In contrast, the SMDV Alpha Speedbox uses metal rods which easily collapse down when released. The six pairs of tab locks on the Alpha Speedbox provide added strength and tautness to the modifier. Oh, and by the way, the Glow Parapop “38-inch modifier” is not 38-inches—it really is only 36-inches. SMDV does make a different line of modifiers for speedlite use, but even those are made with steel ribs and the same high quality diffusion material that is used on the Alpha Speedboxes. 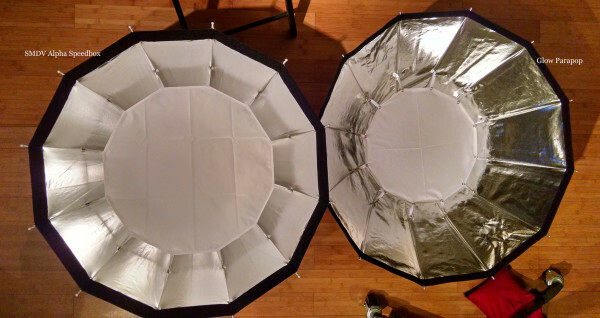 Note the differences in diffusion panels and light quality in the image shown above between the SMDV Alpha Speedbox and the Parapop. The SMDV Alpha Speedbox is an excellent lighting modifier. It is easy to use, truly quick to set up, and fast to break down. SMDV has put together a nice on location lighting kit in a single bag. I am able to pack the SMDV Alpha Speedbox in its softcase, SMDV grid, a light stand, and a Profoto shallow medium umbrella (for those bigger group portraits) in my own hard case for additional protection when traveling. The hard case that I use is a US Art Supply 10-inch drafting tube that telescopes from 36 to 59-inches. One of the things that I like about small companies like SMDV is that they are responsive and focused on providing high quality photographic gear for professionals. The owner of SMDV, JS Kim, was also a professional photographer and seems to have a good understanding of photographer’s concerns. The quality of materials and workmanship on the SMDV Alpha Speedbox is excellent and makes the investment in this lighting modifier worthwhile. I look forward to trying the optional deflector plate that will be available shortly. I am also told that SMDV is working on Alpha Speedbox Stripboxes too. 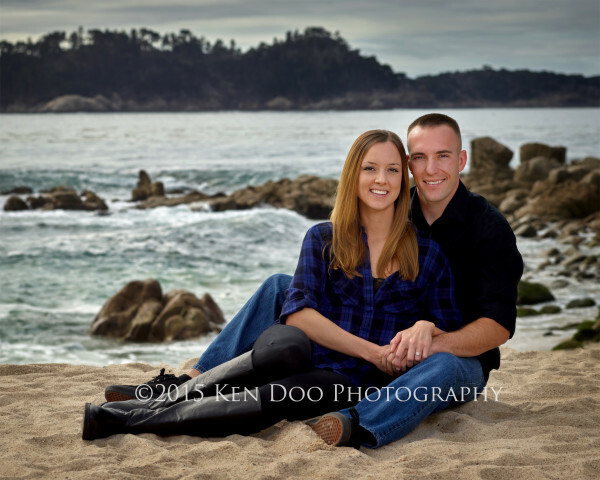 Ken Doo has been a professional portrait photographer for fifteen years, with a boutique studio in Carmel, California. He and co-conspirator Don Libby lead the Capture Integration in Carmel medium format digital “not a workshop-workshop” sometimes affectionately referred to simply as, “Pigs.” Ken is also a fine art printer for artists and photographers, and recently launched his fine art printing website, www.carmelfineartprinting.com. He enjoys long walks along the beach, holding hands, meaningful conversation, and sarcastic humor.